RS-3000 Felt | ZIRCAR Refractory Composites, Inc.
ZIRCAR Refractory Composites, Inc. offers a wide range of insulating refractory felts, papers and blankets. These non-woven, asbestos free, fiber-based products are engineered as thermal barrier materials. Commonly used in the molten metal casting and heat treating industries, ZRCI’s felts and papers are also used as specialty gaskets in the fuel cell, nuclear, glass and electronic industries, as well as many other applications which require high temperature stability and low thermal conductivity. 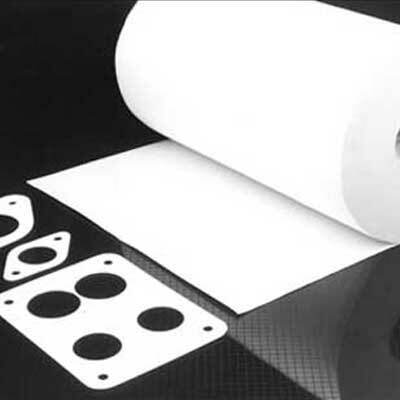 They also offer excellent corrosion resistance and unique handling strength for easy die-cutting, wrapping and forming. ZRCI Alumina Felt Type RS-3000 is 97% high purity alumina fiber, ceramic felt with less than 1% shot. Type RS-3000 is a strong, flexible material with fibers held together with an organic binder. It is available in roll, sheet or custom die-cut parts. Type RS-3000 is ideal for application temperatures as high as 1650°C (3002°F). Type RS-3000 high alumina content is ideal for high vacuum, reducing atmospheres and other applications where silica cannot be tolerated, such as setters for P/M ,MIM and high temperature fuel cell applications. A small amount of organic combustible binder will burn out at approximately 300°F. Caution should be exercised during the initial heating. Adequate ventilation should be provided to avoid potential flash ignition of the binder out-gassing or avoid air entry while at elevated temperature. Alumina Felt Type RS-3000 is 97% high purity alumina fiber, ceramic felt with less than 1% shot. Type RS-3000 is a strong, flexible material with fibers held together with an organic binder. It is available in roll, sheet or custom die-cut parts. Type RS-3000 is ideal for application temperatures as high as 1650°C (3002°F).